Popular with residents, expats and tourists alike, it's been providing top quality food and coffee for many years now and it's still as good as ever. 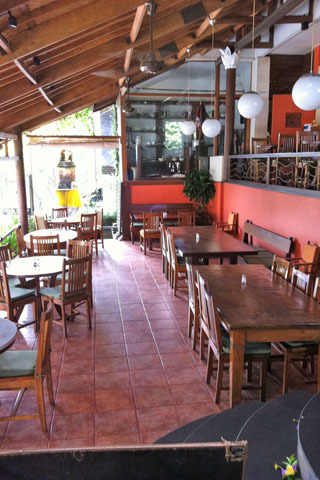 The menu is an eclectic mix of modern café food and upmarket Indonesian dishes that steers clear of the clichés of many tourist cafes throughout Bali. The breakfasts are particularly noteworthy. Staff are helpful (and especially good with kids), the food is tasty, the coffee is some of the best and the WiFi is free.